Melissa Buote on beer and food pairings and the best pubs in Halifax. 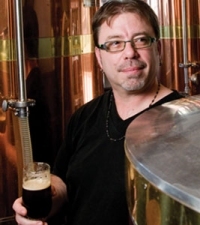 A profile of Hart & Thistle brewmaster Greg Nash (pictured) by Christine Beevis. Craig Pinhey’s investigation of the long lost recipes of Keith’s Brewery. A guide to St. Patrick’s Day festivities by Holly Gordon. The Coast is distributed for free at many locations in and around Halifax.